I ordered my Aura the other day. At first I wanted to support a local business, but then it occurred to me that sales tax from buying in-state would be almost $80, so I found someone far away to order it for me. I was going to write a longer blog post but I guess I don’t really feel like it. This week is a bummer. Spinning? Yeah, I guess I still do that. 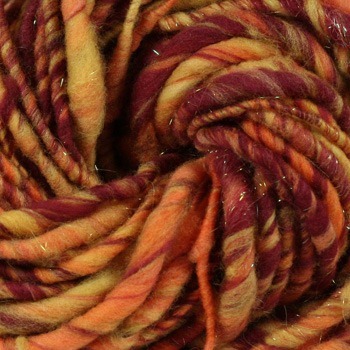 For the first time in a long time, there are a few new handspun yarns in the shop, with more to come as soon as the others finish drying. 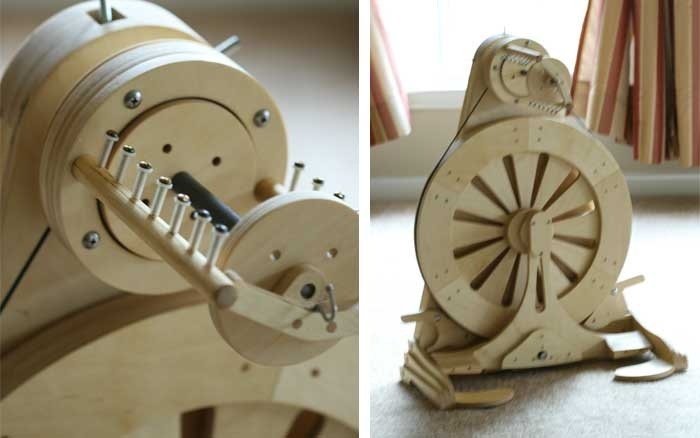 I’ve really caught the spinning bug this week thinking about this new wheel I want, but since it’s backordered, I will have to make due with New Zealandy (the Traveller) until it gets here. Hopefully 3 - 4 weeks doesn’t feel as long as it sounds. …to a deeeeeeluxe Majacraft Aura in the sky. 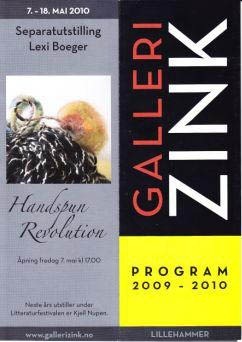 Lexi Boeger’s handspun yarn exhibition opens today at Galleri Zink in Lillehammer, Norway. Pictures are beginning to surface online. 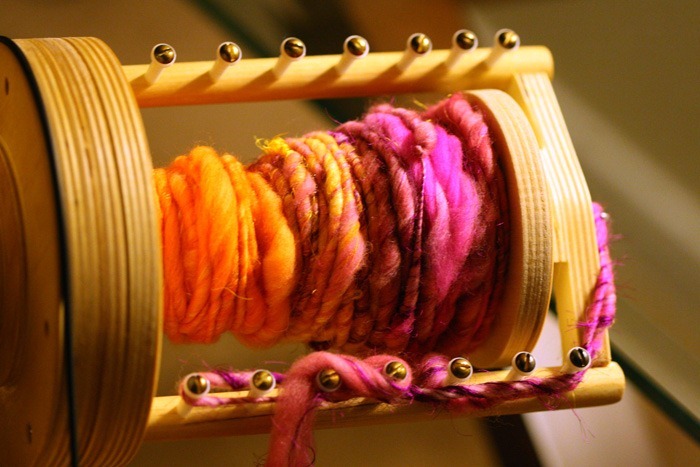 Here is a thread on Ravelry and weblog photos, courtesy of Blogspinner. If only I had a teleportation device; Houston is so very far from Lillehammer. I awoke this morning (okay fine, afternoon) to find a message from Lexi telling me that one of my yarns will be shown separately at the show! Whoo hoo! It’s a tailspun yarn made with natural gray Lincoln locks, and I am kicking myself for not having taken a photo of that yarn separately. She says the gallery wants everything for sale, which makes me feel like such a “real” artist. I don’t even care about the money, but the bragging rights are priceless. 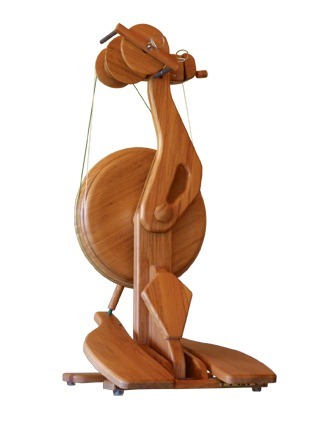 In other Lexi news, the long-anticipated Majacraft Aura spinning wheel is officially on the market. 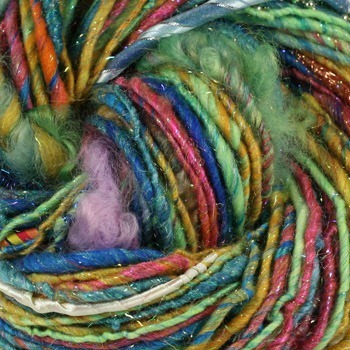 The art-yarn community has been whispering about it for months now, and after the unveiling at last weekend’s Maryland Sheep & Wool festival, we are finally allowed to shout it from the rooftops. 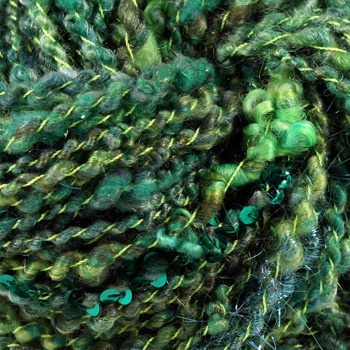 Here’s a blog post by St. Seraphina Fiber Arts with more details. Cindy & the gang at SIP are gearing up for Worldwide Spin in Public Day 2010 – which is September 18th. 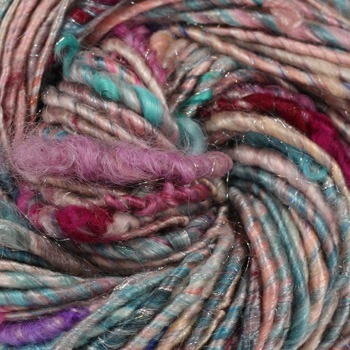 Check out her website or join the Ravelry group for information on setting up an event in your area.